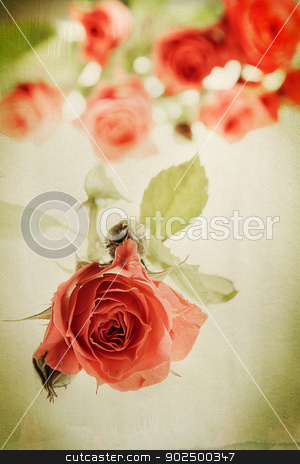 Vintage rose on watercolor background. Distressed look for a retro feel. Focus on bud in the foreground.